Good design can make the world a better place. Living this belief has led to our latest project to design a new set of symbols for people with dementia. The fresh new set of symbols is part of the drive to empower and enable independence for those living with dementia. Beyond this, the new inclusive symbols will be more effective for everyone right across society, in all public places – clear, easy to understand and relevant to people’s everyday lives. In the knowledge that the ageing population is fast becoming one of the biggest challenges facing society, we sensed an opportunity to help empower older people and those with dementia. The idea to explore and consider the design of symbols was inspired by participants in a workshop discussing the design of toilet signage. 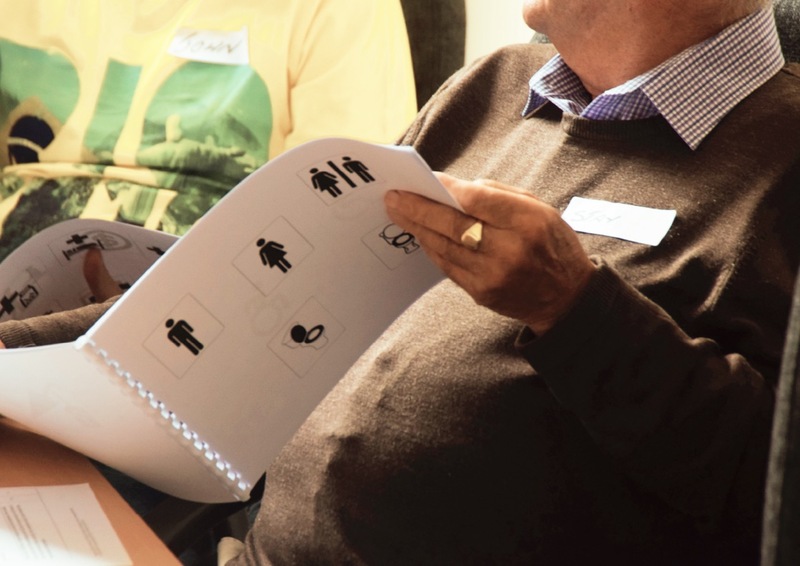 Henry Rankin, Chair of the Scottish Dementia Working Group, sowed the seed when he pointed out that the male and female toilet symbols often appear ambiguous and too similar. A symbol is simply a mark or thing that stands for something else. The toilet symbol is a ‘learned’ symbol that clearly doesn’t visually represent the function of the room, and so it can be difficult to understand for people with any cognitive impairment. So, we wondered if any other everyday symbols might be confusing or misunderstood. From signs in the train station, to information in brochures and websites, symbols appear in a variety of contexts in our day-to-day lives. 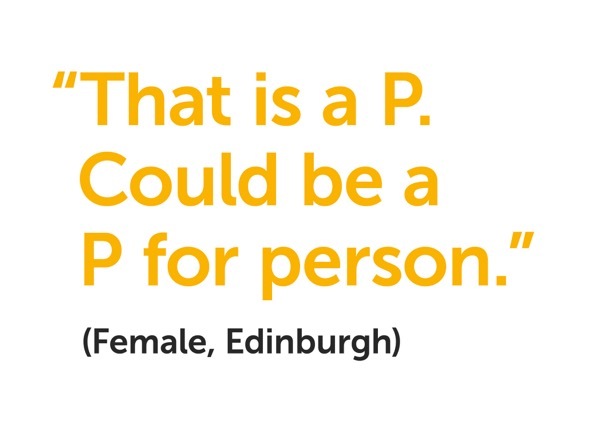 Some really interesting pointers came from our scoping exercise of existing symbols, for example the ‘P’ symbol that represents Parking is used consistently across the globe, even in countries where the word for parking doesn’t begin with ‘P’. With the focus groups and scoping exercise complete, it’s over to the team here at StudioLR to start the concept design for each of the new symbols. Follow our progress here on our blog and on Twitter (@StudioLR_Lucy). We’d love to hear your thoughts – please comment below. In 2016 the Life Changes Trust solely funded StudioLR to conduct a research project across Scotland with a ‘Life Changes Trust Award’, followed by additional funding in 2017 to support the re-design and evaluation of 15 everyday symbols. The project is expected to conclude with a new set of symbols made available free for all to use in August 2018. The Life Changes Trust is funded by the Big Lottery Fund. StudioLR worked with support from the University of Edinburgh. We’re always looking for ways we can use our skills and experience to improve people’s everyday experiences and make a positive impact on the whole of society. On every project, we start by thinking about the impact our work will have on how people feel.